The BERNINA Bulky overlock foot # 12 has a wide groove in the sole, making it ideal for sewing bulky knitted fabrics or for attaching leather strips. One side of the sole is longer than the other, allowing even thick and uneven fabrics to travel under it smoothly. The presser foot also has a guide hole for sewing over piping cord. Furthermore, the Bulky overlock foot # 12 is also a popular presser foot for attaching thick cords and sequins, enabling you to create stylish embellishments on garments, needlework and home furnishings. 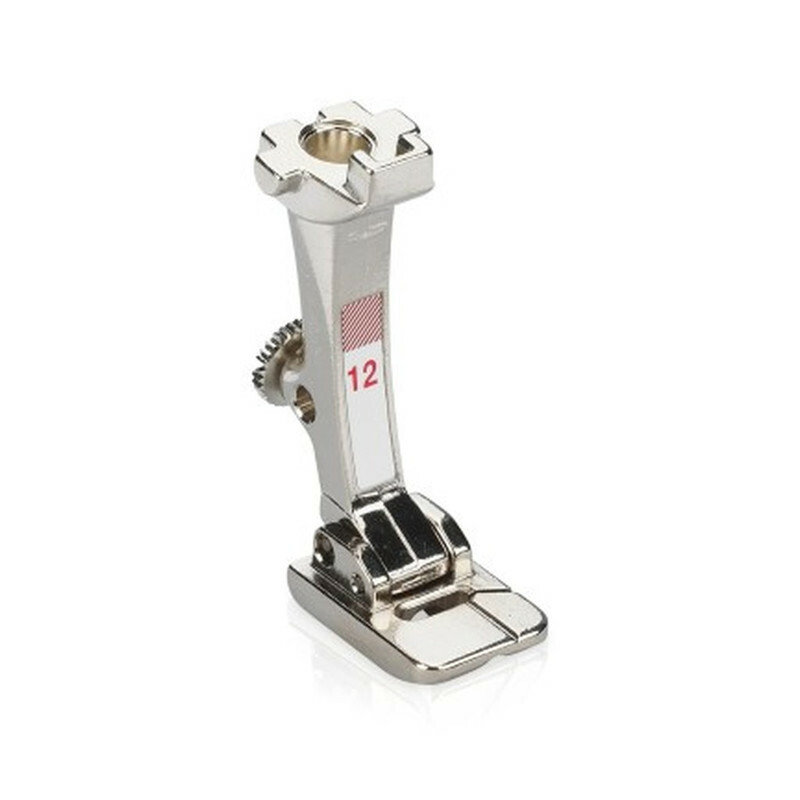 Order your Bulky overlock foot # 12 from the BERNINA accessories range now!